I wrote my first Yelp review in November 2007. I had such a disappointing experience at a reputable frame shop near Boston that I needed to – politely – let off steam. I penned a second review of another business a few months later. But my Yelping didn’t take off in earnest until I was living in Denver and met an “Elite” Yelper who invited me to one of their parties. The shindig included free tequila tastings, salsa dancing, cigars, Mexican food and plenty of swag. These gatherings, as well as free pairs of tickets to plays and musicals, often preceded by a cocktail hour, were the rewards for being part of the “Elite” Squad. “Elites” are supposed to generate content for the Yelp site, reach out to other members and participate in the Yelp community, online and off. Since I was still fairly new to Colorado when I began Yelping up a storm, visiting each ethnic grocery store or cafe felt like an adventure. Chronicling my explorations of Denver and other communities was fun; my reviews became an online journal. Writing capsule evaluations was a refreshing break from more personal essays I was working on. And striving to be fair and balanced was a useful exercise in finding the smidgen of good in otherwise discouraging experiences. The writing was its own reward and, when I was nominated to be part of the “Elite” Squad, it came as a surprise. I hadn’t written all that many reviews. Since I love food, at first I enjoyed the parties, gatherings and the chance to taste lots of new things and meet new people. Being able to invite friends to musicals and plays was a bonus. But as my reviews climbed into the dozens, spurred by a sense of responsibility to my new status, and as I learned a bit more about how Yelp operates as a business, I felt a bit uncomfortable. Were the parties and plays adequate compensation for the amount of time I was spending writing thoughtful (and correctly spelled) reviews? Many of the events, with emphasis on alcohol tastings or meat-heavy menus, simply did not appeal to me. Could I justify donating my time to an entity whose practices, including filtering reviews in a non-transparent way, were hurting some small businesses? I was becoming disenchanted with the quality and reliability of the other write-ups, including one-liners describing what a person ate (what’s the point?) or extensive, sloppy rants overflowing with exclamation points. It seemed as if Yelp was not maintaining even minimal standards for content while encouraging everyone to keep writing more. And more! This year they are again challenging members to compose 100 reviews. Indeed, Yelping after any exchange of money for goods or services (legal, of course) can become addictive. Which is why members review supermarket chains, Starbucks and even post offices. But the most pernicious part was that I started to approach my visits to stores and restaurants with a reviewer’s agenda. Would I find something to praise or share with others? Did the establishment live up to whatever standard or reputation I thought they should? Were my repeat visits as good as, or better than, the first? My mind was constantly evaluating my experiences with a view to writing about them, rather than simply letting me be in them. As I learned at a Denver tea house, connecting with the server as a fellow human proved to be far more rewarding than any Yelp perk I had received so far. By the time I left for the Camino, I had, over the years, uploaded 200 reviews, a number that seemed ridiculously high. When I returned from Spain, I received an e-mail from Yelp inviting me to apply for 2013 Elite status. I ignored it. A few weeks later, my local Yelp community manager (a lovely and hardworking woman), reminded me about the deadline. I thanked her for thinking of me but declined; I told her I wasn’t interested in maintaining my previous level of output. Last month, the new community manager, apparently oblivious to my correspondence with her predecessor, contacted me on e-mail; all I had to do was click a button and that cool “Elite” badge would be restored to my online profile, and I’d continue to receive invitations to parties and events. Thanks for posting this. I had no idea this kind of thing was going on. I guess I shouldn’t be surprised. Gives me a bit more information to use when checking all those reviews. Hi Jane, most of the people who write for Yelp are decent and fair. And Yelp does organize great events and tries to foster a sense of community. But Yelp definitely offers incentives for writing…and unfortunately, the quality suffers when the quantity of output is so high. Yet, without increasing content, people won’t advertise on the site. So, there you go! I tend to look at rating distributions to get a sense of a business, rather than read specific reviews. Yelp contacted me to sell me advertising space. Guess how much I’d have had to pay each month for the cheapest service. No, guess higher! 350 a month. I hope the sales rep wasn’t too offended by my peals of laughter and a quick thank you and goodbye. Yes, I had heard about their exorbitant rates. Glad you had the last laugh! Ohhhhh! This is SO scary! 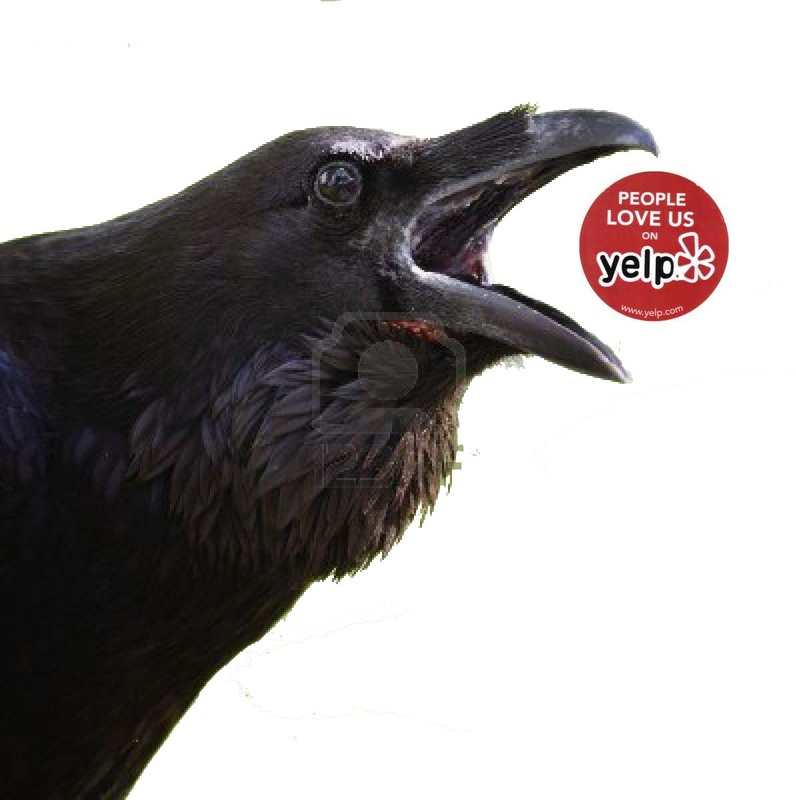 Being a small business owner, I can see how this Yelp could be the downfall of a business. I could also see how it’s possible to get addicted to Yelping. I do Trip Advise, kind of like Yelp but with no pressure to write and also no incentives. I’ve actually never been told that Yelp did this. I read the Forbes review. Whew. This could be potentially SO good and now they’ve turned a really good thing into something so biased (or potentially) and corrupt. VERY scary that they’re leery of first time posters who are positive. DEFINITELY, thanks for sharing. Yes, it’s a shame…Yelp could have been a really good thing. The Forbes article is but one of many critiques of Yelp’s lack of transparency. The “challenge” to write 100 reviews this year was, for me, a huge red flag. Good for you for sticking to your convictions. I mean you felt like it was wrong and you upheld your morals. Cool. I know a lot of people who would have kept on damaging so many small businesses just for free movie tickets and the like. I’m not going to lie, it’d be tempting to me!